The first image that comes to mind when you mention Maharashtra is of forts. There are 350 or more forts in the state and though some are not in great condition, many of these are as strong as ever. These are located on top of mountains and have a magnificent architecture and topography. Almost all these forts are connected to history as many were either built by Chhatrapati Shivaji or captured by him. A walk through these forts is a walk through history. Here are 10 most amazing forts in Maharashtra that give you a peek into history and which amazes you with their strength even today. 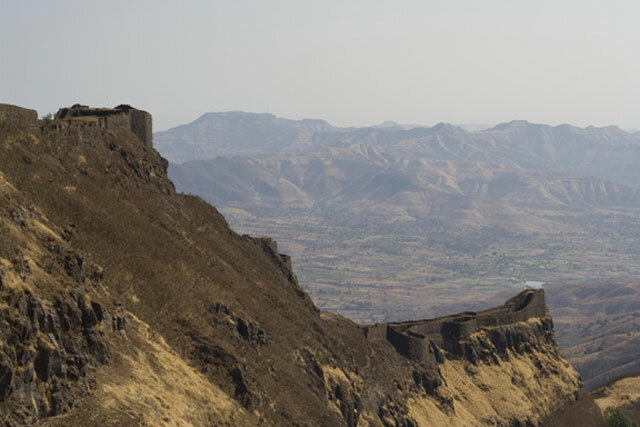 It was the first capital of Shivaji’s kingdom and stands on the Sahyadri mountain range in Mahad city and was built by Shivaji in the 14th century. Raigad fort is well fortified and cannot be conquered. No wonder then that the British referred to it as the ‘Gibralter of the East’. It is situated 24 kms away from Mahableshwar, the famous hill station of Maharashtra, in Satara district and stands 1,080 m above the sea level. 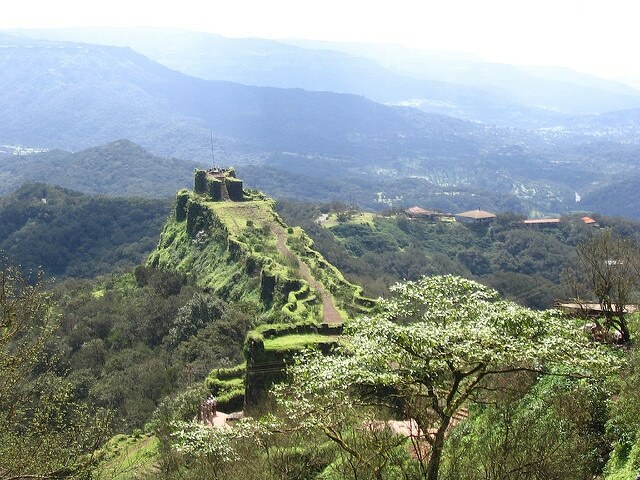 Pratapgad fort was built by Shivaji and has two divisions, the upper fort and the lower fort. 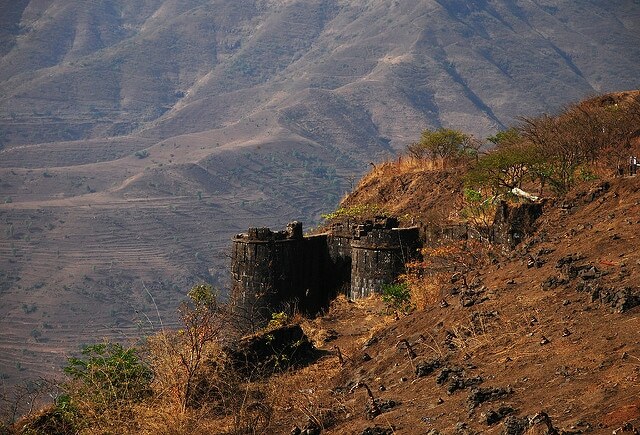 Sinhagad fort is one of the most important sites of the Maratha regime and is located 30 kms from Pune. It was also known as Kondana fort and stands on a hill at about 760 m above sea level. 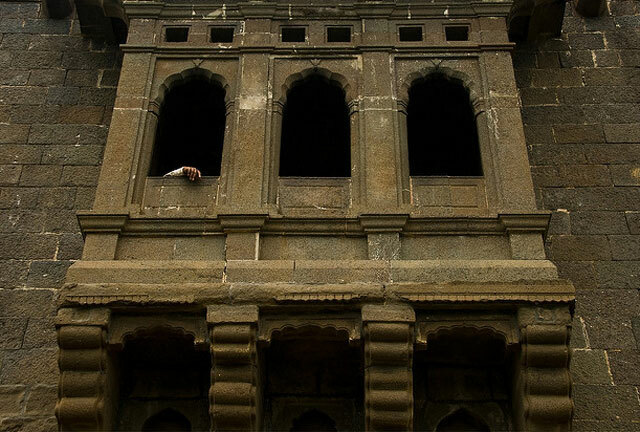 Built in the 15th century, the Murud Janjira fort is known for its great architecture. As it is located on the Arabian Sea coast, the view from the fort is quite appealing. It was built for strategic purposes and had secret locations to hide and escape. Panhala fort is one of the oldest forts and was built by Raja Bhoj in the 12th century. It is located 18 kms away from Kolhapur and stands at a height of 1,312 feet above sea level. 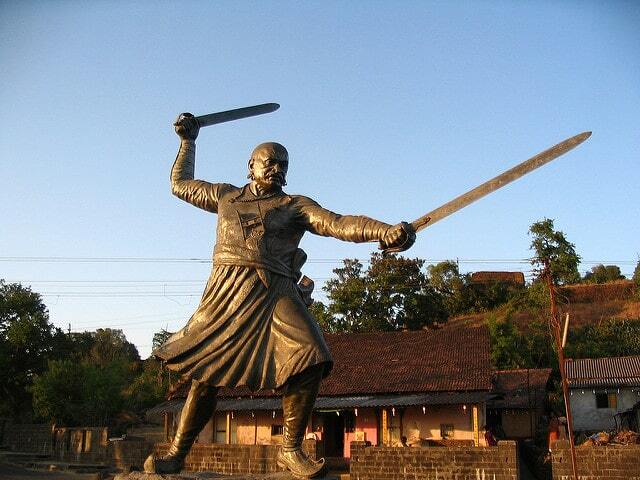 It has special significance in the history of Maharashtra as Emperor Shivaji was born here. He spent his entire childhood at Shivneri fort and received his basic education from Dadaji Konddeo. The government has declared it as a protected monument. It is located in Junnar town and is around 120 kms from Pune. 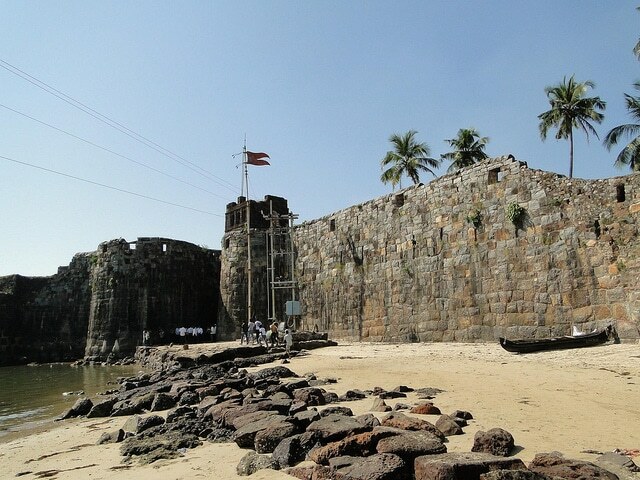 Sindhudurg is one of the twin forts built by Shivaji, the other being the Vijaydurg fort. It was built in 1664 AD, on the Malvan coast, for strategic reasons and to lookout for enemies coming from sea. 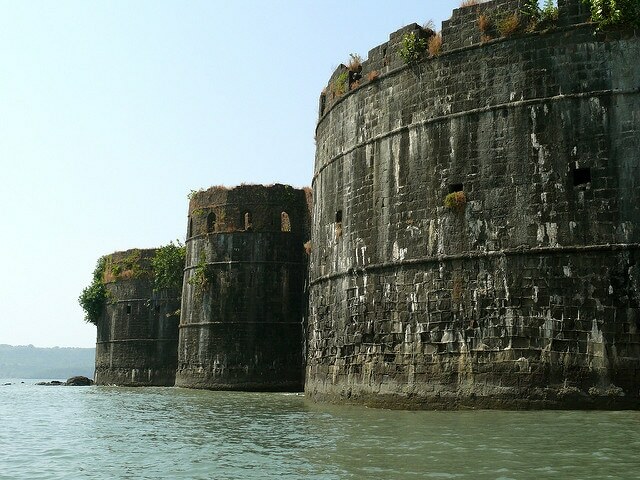 It is one of the most magnificent sea forts in Maharashtra. You get to the fort through two islands and then via a narrow path in the middle of the sea. Vijaydurg fort is a beautiful sea fort that Shivaji built for defence purposes. It is as beautiful and strong as ever and stands as a witness to the naval competence of the Maratha regime. It is built on the mouth of the Vaghotan river and is the largest fort on the coast. The 40 km shallow creek served as a protection for the fort and made it almost impregnable. 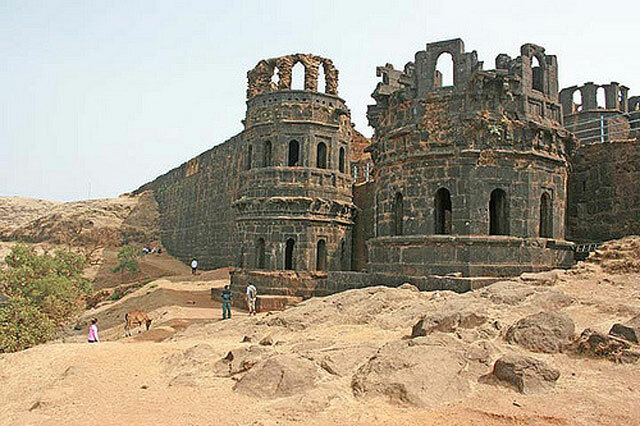 Torna fort is one of the tallest forts in Maharashtra and was the first fort that Shivaji captured from the Mughals. He was just 16 years old at the time! After capturing the fort, Shivaji built more buildings and fortifications to make it stronger and more secure . It is 60 kms from Pune and buses can be taken from Pune to reach Velha village and then undertake the trekking to reach the fort. 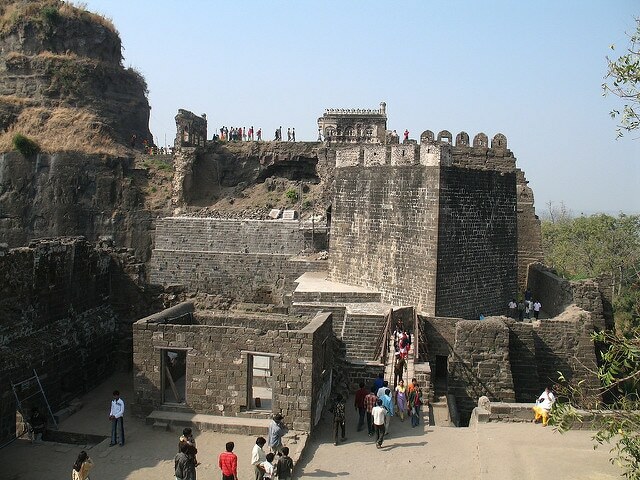 Daulatabad fort is situated 13 kms from Aurangabad and houses many monuments within its premises. It was built in the 12th century and was earlier known as Devgiri fort. The fort was given its name by Muhammad Tughluq, the Sultan of Delhi as he was very impressed by the fort and had set up his court and capital here. Most of these forts are also trekking locations and adventure enthusiasts from all over the state and outside undertake trekking expeditions to the forts. It is definitely a thrill walking though steep mountains, rocks, and forests but once you reach the top, all the efforts seem worth it as a walk around the forts take you back to a time of rich history, the valour of emperor Shivaji, his foresight and skills in building such forts and the craftsmanship and knowledge those artisans had in carving out such absolute masterpieces atop the mountains. Very useful article thanks for sharing this information.